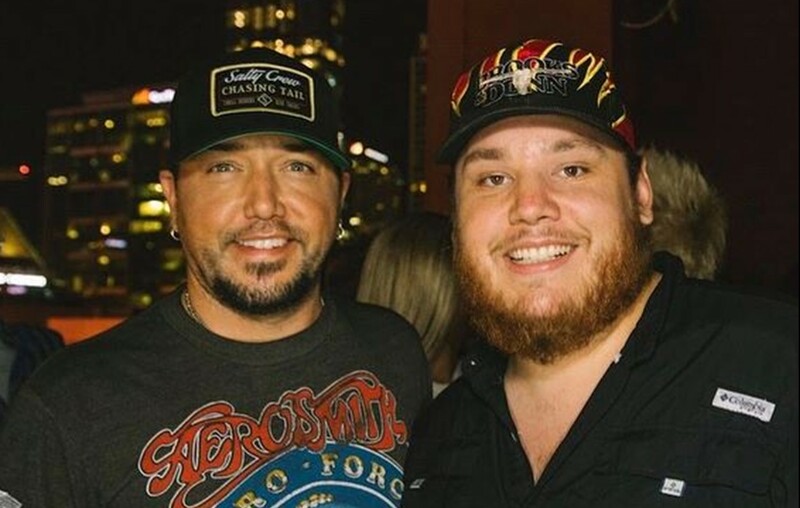 Before country music star Luke Combs set his heart on making it big in Nashville, he had a completely different and totally unrelated career path in mind. The hit-maker was enrolled at Appalachian State University and playing with the idea to join the police force. Combs ended up dropping out of college before obtaining a degree and committed himself fully to country music by relocating to Nashville. If Combs didn’t make waves on the Music City scene and was forced to abandon his dreams, he’s unsure about where he would have ended up. Well, Luke doesn’t have to be concerned about having a fall-back. The 28-year-old just picked up the ‘New Artist of the Year’ honor at the 2018 CMA Awards and has been on fire since dropping his debut single, “Hurricane,” independently in 2015. Watch Combs perform “She Got The Best of Me” live below! Luke certainly isn’t the only country star whose life could have been drastically different— Luke Bryan nearly stuck with his family’s peanut farming business, Eric Church could have followed his father into leading a furniture-making company, and Chris Stapleton might have become a Kentucky coal miner. It’s hard to imagine any of these entertainers doing anything different! Share this interesting tidbit with other Luke Combs fans!